Jordan B. Peterson is a Canadian clinical psychologist, self-help writer, cultural critic, and professor of psychology at the University of Toronto. His main areas of study are in abnormal, social, and personality psychology, with a particular interest in the psychology of religious and ideological belief, and the assessment and improvement of personality and performance. Peterson grew up in Fairview, Alberta. He earned a B.A. degree in political science in 1982 and a degree in psychology in 1984, both from the University of Alberta, and his Ph.D. in clinical psychology from McGill University in 1991. He remained at McGill as a post-doctoral fellow for two years before moving to Massachusetts, where he worked as an assistant and an associate professor in the psychology department at Harvard University. In 1998, he moved to the University of Toronto as a full professor. He authored Maps of Meaning: The Architecture of Belief in 1999, a work in which examined several academic fields to describe the structure of systems of beliefs and myths, their role in the regulation of emotion, creation of meaning, and motivation for genocide. 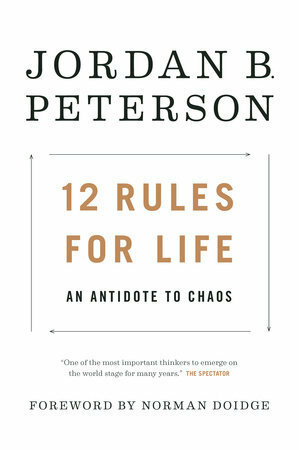 In 2016, Peterson released a series of videos on his YouTube channel in which he criticized the Canadian government's Bill C-16. He subsequently became involved in several public debates about the bill that received significant media coverage.